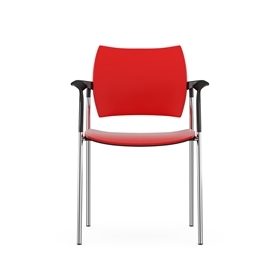 THE DREAM RANGE OFFERS A COLOURFUL SELECTION OF MULTIFUNCTIONAL BREAKOUT, TRAINING AND MEETING CHAIRS THAT ARE DESIGNED TO BRIGHTEN UP ANY ENVIRONMENT. 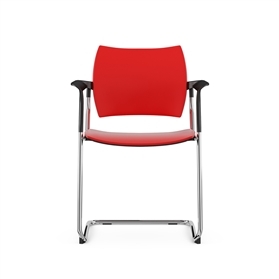 Dream is available in a choice of grey, white, black, blue, green and red nylon, can be upholstered and has a mesh-back option. 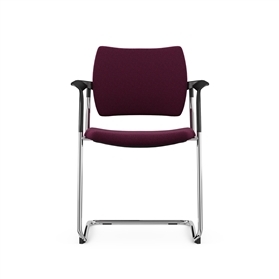 You can specify the Dream collection with either a black, grey or chrome cantilever or 4 legged frame. Dream is available with or without arms, optional linking device, castors and writing tablet.